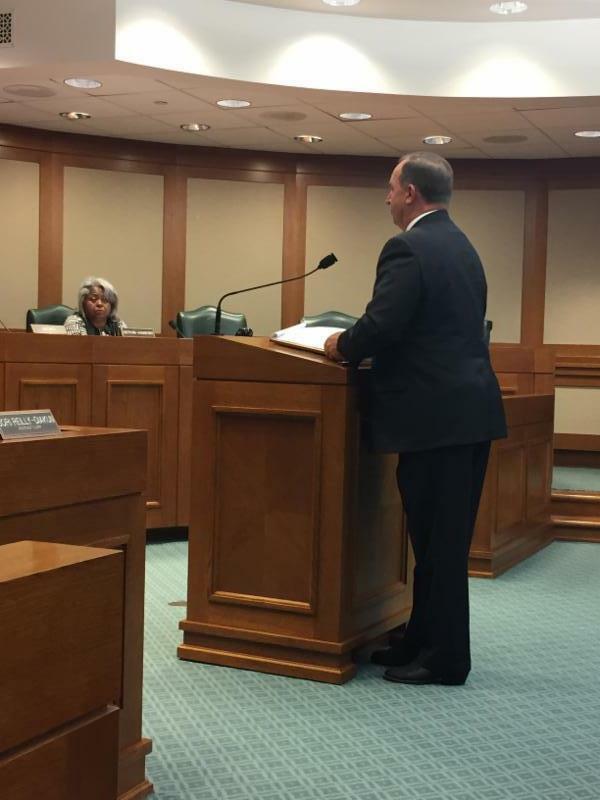 ON Monday, March 20th, I presented House Bill 1727 to the Committee on Criminal Jurisprudence. 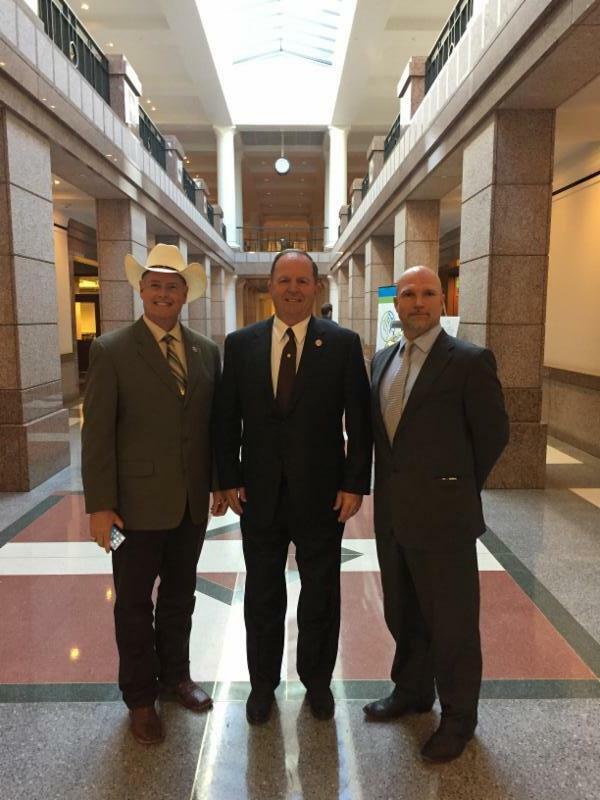 House Bill 1727 is to aid in the issuance of certain search warrants for Chambers County. The problem arises that while a part of Baytown is in Chambers County, the municipal court of record who is a licensed attorney by the state is actually located in the next county over, Harris County. Therefore this often leaves Chambers County in a position to either forego search warrants entirely or make future arrangements to obtain search warrants subject to the availability of the neighboring county. H.B. 1727 amends the Code of Criminal Procedure to change one of the circumstances under which any magistrate in a county may issue a search warrant for contraband subject to forfeiture or certain property or items constituting evidence of an offense or constituting evidence tending to show that a particular person committed an offense from the county not having a judge of a municipal court of record who is an attorney licensed by the state to the county not having a municipal court of record with a courtroom located in that county and a judge who is an attorney licensed by the state. If House Bill 1727 is passed, Chambers County will no longer need to rely on a municipal county court of record from another county, but rather allow any of the current magistrates to issue search warrants. 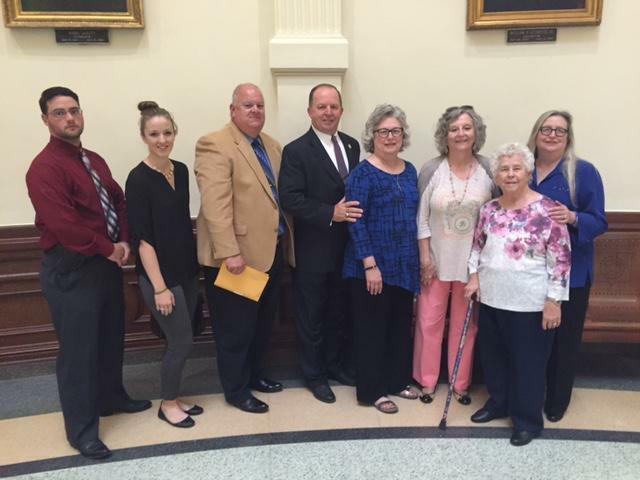 We congratulated Terry Petteway on his retirement as a constable for Galveston County. 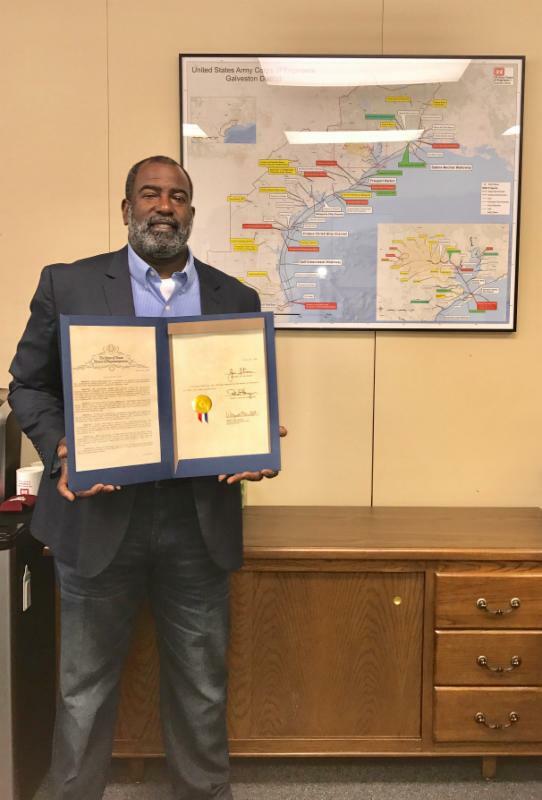 First elected in 1992, Mr. Petteway has enjoyed nearly a quarter of a century at the position. 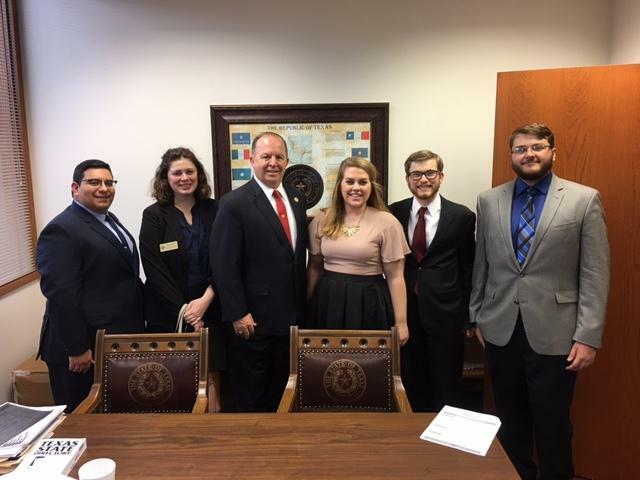 On Tuesday, I met with some students from Texas A&M Galveston and fielded questions about this legislative session. On Tuesday, March 21st, the Culture, Recreation, and Tourism Committee heard its first batch of bills for this session. 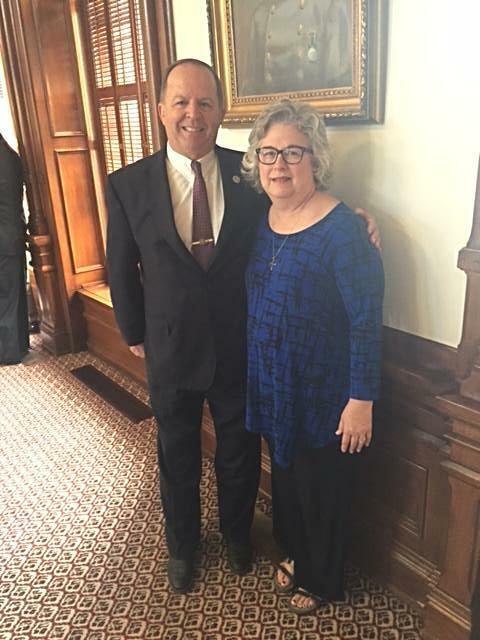 Among them were bill to designate the Lady Bird Wildflower Center the state botanical garden and arboretum. Another bill considered related to safety features of ATV's. Representative Wu put forth a bill to implement a travel certificate program to reward those visiting different regions of Texas. 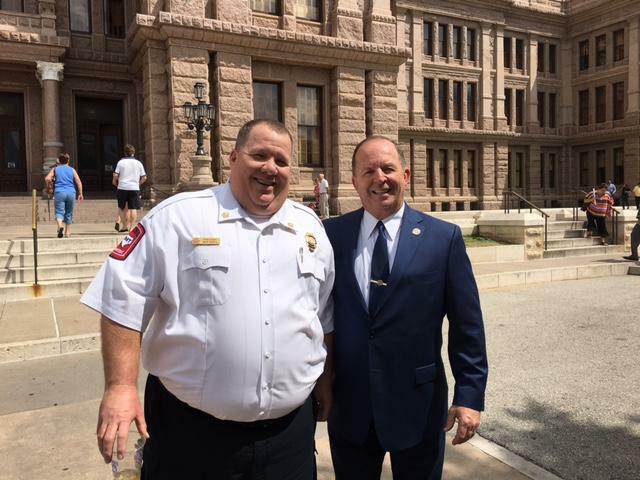 On Thursday, March 23rd, I had the humble privilege of honoring late Officer Christopher Sanderson on the House floor. Officer Sanderson passed away March 4, 2017 at the young age of 31. He was born in Galveston and graduated from Ball High School in 2004. After graduation, he went on to work for the Galveston Beach Patrol, the City of Galveston Jail, and the Galveston Police Department, where he spent the past decade of his career. Officer Sanderson was the recipient of numerous honors from the department, including a Life Saving Award and a Marine Dive Team Unit Commendation. He was named Officer of the Year in both 2008 and 2016. He was a member of the Marine Dive Division, Special Response Group, and Honor Guard, but of all of his achievements, he was proudest of the seven years that he served in the department's K-9 Division. 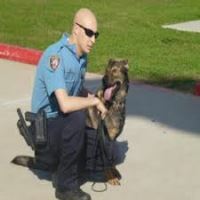 He shared a close bond with his K-9 partner, Abba, and even during the last days of his life, he remained a strong advocate for the division. It was an honor to pay tribute to the memory of Officer Christopher Sanderson. 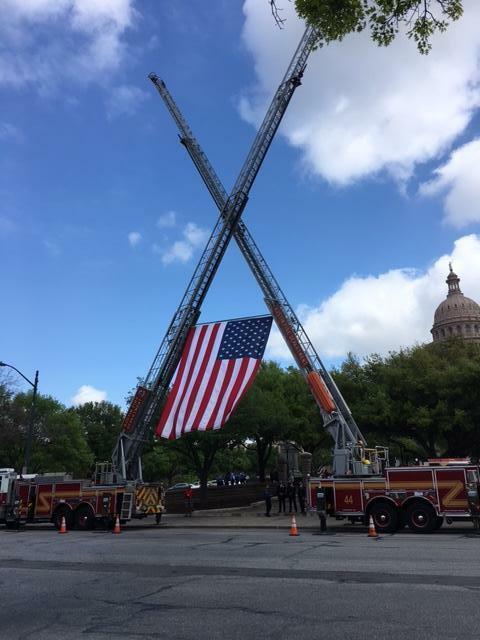 I would like to send heartfelt condolences to all those who mourn his passing, several of whom were able to make the trip down to Austin. Mike Wisko joined us in Austin.